"Playing the Ghost" is a great practice regimen to keep you from just banging balls around. The ghost is more challenging than you might think; a worthy adversary! 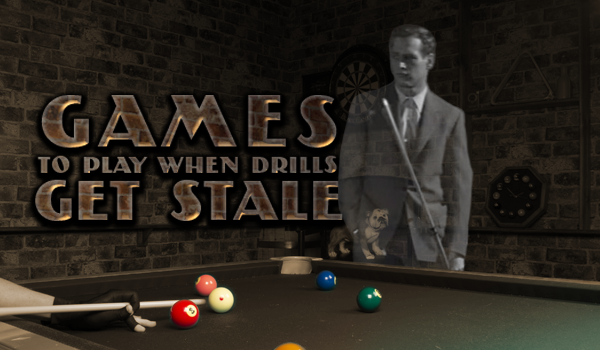 Drills are the best and most efficient way to improve your skills on a pool table, but after a few hours they can become a bit monotonous, making it difficult to stay focused with your full attention. When that happens, it might be time to spice it up a little bit! In this article, PBIA Master Instructor and founder of the National Billiard Academy, Tom Simpson, provided some fun and helpful training games geared towards 8 ball, 9 ball and straight pool players to keep you engaged and improving. In my 3-Day Intensive, we review a number of powerful ways to practice without the tedium of repetitive drills. I know many players who love doing drills. Some would rather drill than play. I also know lots of players who really can't bring themselves to focus on drills for more than a few minutes, even though they see the value. Here are a couple of ways to start. 1. 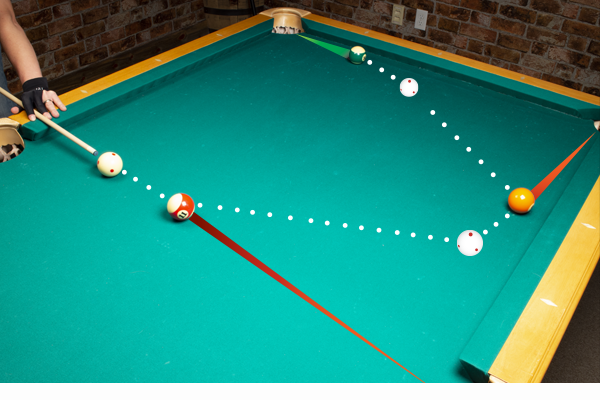 For all pool games, the mother exercise is Three Ball Patterns. Throw three OBs [object balls] onto the table at random. Take the CB [cue ball] in hand and look for the simplest way you can see to run those three balls out. Do it. We're always trying to plan at least three balls ahead. "How can I shoot the first shot in a way that gets me an angle on the second ball that easily/naturally takes me to the third?" You can shoot a hundred of these an hour. Shoot a thousand and things will get really easy and the "right" patterns will be immediately obvious to you. If this is too easy, use four balls. Three ball patterns are super fun and great practice for helping you to identify run-out paths. If it's too easy with ball in hand, tray a three ball break-and-run! 2. 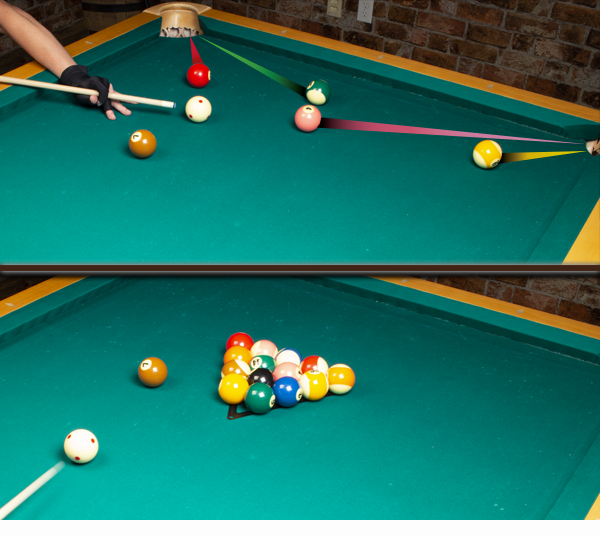 If you're a 9-Ball player, run your three balls in rotation order. For 9-Ball, I also like Two & Out. Throw the 9-ball, CB, and one other OB. Run out or play safe. This is sometimes challenging and sometimes so easy you don't bother. But, it's realistic 9-Ball. You come to the table with two balls left and you'd better get out or play good defense. 3. For 8-Ball players, throw three or four including the eight. Take ball in hand, make your plan, make it happen. When it becomes too easy, add some opponent balls to the table situation. Frank Says: "Another great way to practice and have fun is with the Ultimate Pool Challenge Bundle! The games include shots, ranging from easy to difficult and is enjoyable for all pool players!" 4. Straight pool players have different problems. You're always working toward a key ball and break ball. Throw out five balls. Take ball in hand and make a plan to get to a break shot. When you succeed, you may enjoy setting up the rack and taking the break shot. But then, go back to five balls. This works on a key aspect of this game, without the usual ball-running pressure. Great practice for Straight Pool! The key is to find the "break ball" and then figure out your path to get proper shape. 5. Play solo games and track your scores over time. Bowlliards is good, as is Fargo. "Playing the ghost" can also be a way to make you focus and bring your best. For example, you can play the Five Ball Ghost in 9-Ball. Throw out five balls, take CB in hand. If you run out, you win. If you don't, the ghost wins. Play a race to whatever. The ghost will know if you cheat. I think anything that helps you stay fully engaged with what you're doing at the table is probably good. It has to take your full attention, and you have to give it. I think this is why we like pool. When you start banging balls, call it a day.